DON’T PANIC and don’t forget your towel! Being the big geek I am, I have to do this every time I get to episode 42 on a podcast I do. It’s, of course, a tribute to Douglas Adams’ Hitchhikers Guide to the Galaxy. Nowadays, we say Don’t forget your smartphone instead of your towel and the Hitchhikers Guide. Now on with the REAL content for this episode! As you heard, last week I had an audio problem. I could have fixed it by re-recording those segments. I felt the content was good enough to put up with the little popping sounds. Also, on my checklist, I have removed the part about audacity. Truncate Silence. It’s too easy to screw something up for me to recommend using that. Recording only with an iPhone? Yes, you can record only with an iPhone. There are several good ways to do it. Boss Jock Studio – Play clips, record and edit. Saves in mp3, ready to upload. Voice Memo – Stock iPhone program by Apple. Very good for quick notes and recording segments. BUT, saves files in AAC format instead of Mp3 so you *should* edit them and re-encode to mp3. While I’m playing with it, How about a mic shootout using the studio mixer? Q: I uploaded my show yesterday, it’s still not in my Podcast Listing at iTunes… HELP!! Look at your RSS feed in FIREFOX (other browsers do not work the same) and verify your latest post is in there with it’s media file. Subscribe to your podcast in iTunes (on your computer) or the IOS “podcasts” app. Verify that your new episode shows up. If 1 and 2 are OK. RELAX and give iTunes up to 3 days to list your show. 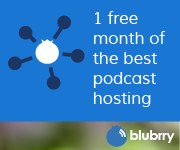 If it takes more than 3 days, email Apple (podcasts@itunes.com) and give them your listing address and your RSS feed. You may get a run-around or a form response. Reply to that with the same info. Sooner or later they will have a human answer you. Podcast on Radio? Then the recording of the podcast on radio, on a podcast? At the risk of generating at vortex here, I’m going to play one local radio show’s take on my segment about how lame music radio can be from Episode 36. As heard on the Omelette & Friends radio show on WKLT in Traverse City (1 day after they interviewed Bob Seger!! Next we are going to have the Guy behind the mic at Omelette & Friends, Omelette Himself on this very podcast! 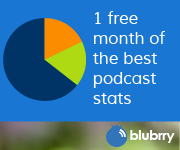 Teach your listeners how to subscribe and make it easy for them. In powerpress 6 there are 2 new ways to get your listeners to subscribe. One is the Subscribe page. If you go to podcasthelpdesk.com/subscribe you will see that I have a neat page there that makes it easy to just press a button on a smartphone and subscribe. It’s easy to set this up with powerpress. Make sure you have everything including the iTunes subscription URL block filled out in the Feeds and iTunes tabs in powerpress. Create a blank page called Subscribe (or whatever you want to call it) publish the page and go into edit it again and write down the page ID. Go into powerpress settings > media appearance and where it says “Subscribe Page” Paste the page ID in the block and save settings. Go back to your page and you can edit the words in there as you would like. The other thing that was added is the subscribe sidebar widget. All you have to do is go into your widgets area and find the subscribe block and drag it to the sidebar. You are done!